Want to learn more about what inspires the Black Sea Menu? Dive into Turkey, it’s culture, and of course it’s food! 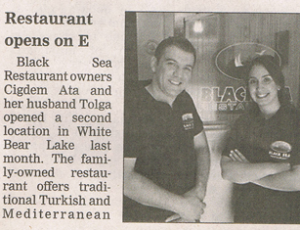 Black Sea Restaurant, first and only Turkish Restaurant in Minnesota, was opened in 2000 in St. Paul. 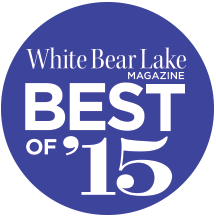 And then in June, 2013 we opened our second location in White Bear Lake. Our family-owned restaurant offers traditional Turkish & Mediterranean cuisine in an authentic atmosphere. The menu is approachable, including a large variety of flavorful appetizers, salads, doner sandwiches, beef and chicken kebabs. We also have catering menu for special events. A great food, an excellent service, and a pleasant atmosphere make Black Sea Restaurant a local favorite and a restaurant that you don’t want to miss! Turkey is a large peninsula that bridges the continents of Europe and Asia. Turkey is surrounded on three sides by the Black Sea, the Mediterranean Sea, and the Aegean Sea. Istanbul, the largest city in Turkey, is built on land in the Bosporus seaway. To us here in the United States, Turkey is about the size of Texas. Thinly rolled pastry, often the paper thin variety known as yufka, is wrapped around various savory fillings or arranged in layers . The myriad types of börek are unmatched delicacies when cooked to perfection. Boreks can be fried, baked, cooked on a griddle or boiled. Böreks should be light and crisp, without a trace of excess oil. Slices of marinated lamb on a tall vertical spit and grilled as it slowly turns are delicious. The cooked parts of the cone of meat are cut in very thin slices by a huge sword-like knife, and arranged on a plate with Ace or flat pide (pitta) bread.